Stumbled across this podcast of my friend Tavis talking OD&D. Have a listen- it's good stuff. When Arneson set up his economy for Blackmoor, he had plenty of experience to draw on from his Napoleonics campaign. He choose however to use gold as the standard currency, not the pounds Sterling he used for Napoleonics. In many ways his economy was a blank slate and so he picked nice round figures to work with. For example,a village of 3000 "men" produced an even 3000 GP in taxes. Arneson set up his prices for things and wages paid, accordingly, no doubt as he thought best. However, when it came to the costs of hiring troops to build armies, he cheated a bit and simply borrowed the point costs of CHAINMAIL for the cost of his troops and some equipment. Now granted, there's something of an apples to oranges comparison going on here because in CHAINMAIL, the cost is per "figure" which represents a one time purchase of 10 or 40 actual soldiers. Furthermore, the OD&D costs are not a "purchase" cost but rather a monthly fee for an individual soldier - more of a support and upkeep cost per man than per figure. 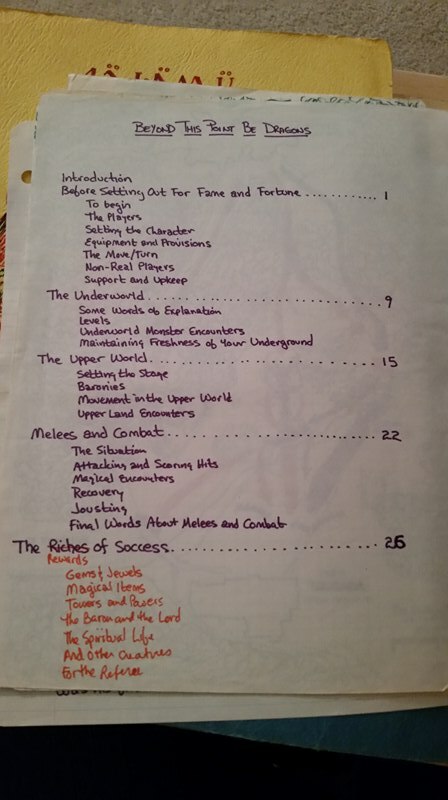 Nevertheless these lists are clearly related Although the Blackmoor list represented a one time purchase cost that appears to be prices for individual soldiers, Gygax may well have thought they were for figures of 10 men, or perhaps that it was a recurring cost, judging from the difference between the OD&D and Blackmoor lists. In any case, the OD&D prices have always been problematical. Simply put, they don't make any sense in terms of the rest of the economy. Perhaps the most obvious problem is that players could field unrealistically massive armies quite cheaply, when, for example, it costs less to buy a soldier for a month of service than is does to buy a pack of rations for a week. Even assuming the original Blackmoor price costs or a 100 gp hireling fee or some other up front expense, the montthly OD&D fee remains woefully inadequate. The way to fix the problem is of course to increase the hiring cost of soldiers and the frequency of the upkeep fee. The question then becomes a matter of how much. The solution chosen by some is to attempt to base both initial cost and monthly support and upkeep on medieval data. Such data however is far from straightforward, and liable to give a wide range of costs. I propose a more Twin Cities solution. In the 3rd Anniversary issue of CotT, Arneson gives a "recap of the Napoleonic Campaign rules Jan 15 1971" that begins with a price list. The prices given in the list are all in Pounds Sterling. However, those of you with long memories might remember the post I wrote HERE comparing the cost of building a mid 18th century stone fortress in the "wilderness" of North America with the costs and artisan wages of building the same wilderness fortress according the tables in OD&D. You may also remember that doing so gave us a conversion rate of 8.3 Gold Pieces per Pound Sterling. Now granted, there would likely be a bit of inflation between 1760 and 1800, but as the values are fairly general to begin with, I don/t think it's worth quibbling over a few percent difference, so I'll assume a pound is a pound. 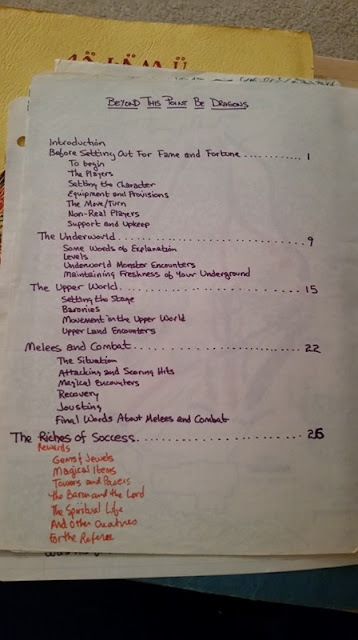 These upfront costs make a whole lot more sense in terms of the rest of the economy of Blackmoor and D&D and give us a nice little tie in to the roots of the game. Okay, that gives us a "Twin Cities" base purchase cost for infantry and cavalry troops. Now, what about that monthly fee in OD&D? Well, Support wasn't a simple monthly fee in the Napoleonics campaign, so we need to do a bit more translating to make it practical for a D&D campaign. As related to me by original player Stephen Rocheford, "The support costs were annual. The support costs at war annually were x 3. If you mobilized your army the increased costs commenced immediately." Further, in the "Recap" notes we are told "support costs .. vary from 3-6% depending on the country...", and that certain types of troops require a greater degree of support; specifically "Cavalryman and Horse,..Artillary men and Engineers, ... Seamen or Marine" are all doubled in support costs, and rifles and riflemen have their suppost costs tripled. Alright, for our purposes it's simplest just to assume a base 5% Support cost for everybody. That would mean our cavalry, sailors, and specialty troops would have a support cost of 10%, per the doubling rule mentioned above. Further, any troops being deployed, as they most likely would be in a D&D game, have these rates tippled. So infantry and so forth would have a yearly support cost of 5% when garrisoned, and 15% in the field; likewise cavalry support costs 10% in garrison and 30% in the field. So there's that. If Arneson had used his Napoleonic figures and converted from pounds to gold pieces, it should have come out about like the table above. But hold on, those are yearly costs. And of course, if you divide these S & U costs by 12 to get a monthly figure you can see the support and upkeep is even less than that given in OD&D! Which once again brings us back to the question of realism. In fact, the converted troop costs are much closer to historical norms than the troop costs based on CHAINMAIL points, but monthly S & U costs remain far too low, relative to the rest of the economy. The fix is pretty simple, charge these Support and Upkeep costs monthly instead of yearly, and your D&D economy will be in balance. It will also help motivate those players to go out and get gold! So next time your adventurers want to hire a dozen heavy footmen and a reliable warhorse and a wagon to haul their loot, ignore the D&D price lists and charge them the arm and leg they should be paying!